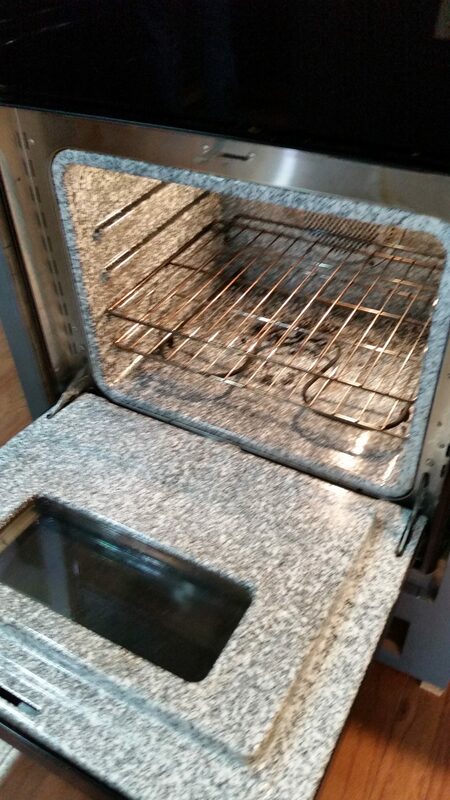 What if I told you that you do not need chemicals, smelly vinegar, or expensive oven cleaners to get a clean oven? 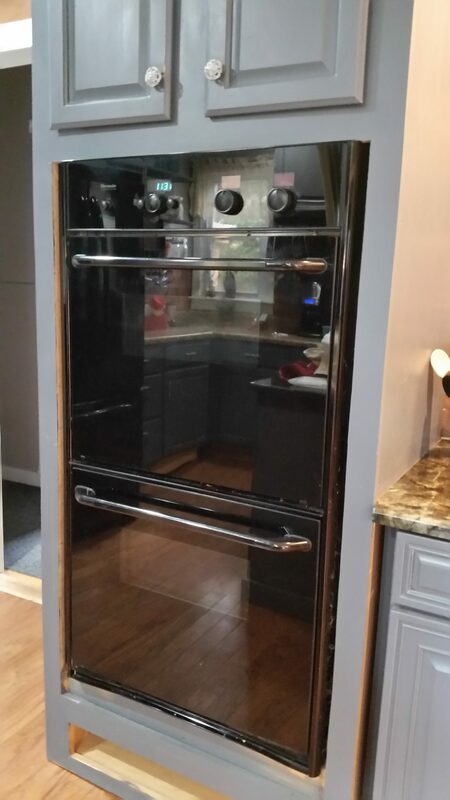 Wouldn’t it be nice to be able to clean baked on messes with something you may already have in your kitchen? One of my cleaning products I have used for years is Dawn dishwashing liquid. I use it for my pots and pans, pest control on my plants, and even on my pets if they should need a bath. It is even used for wildlife after an oil spill. Dawn is tough on grease, grime, and food and gentle enough for humans and animals. However, a year or so ago Dawn came out with Platinum and so I bought it. There had been a coupon and it was on sale so I really could not resist. I have to tell you I was hooked. 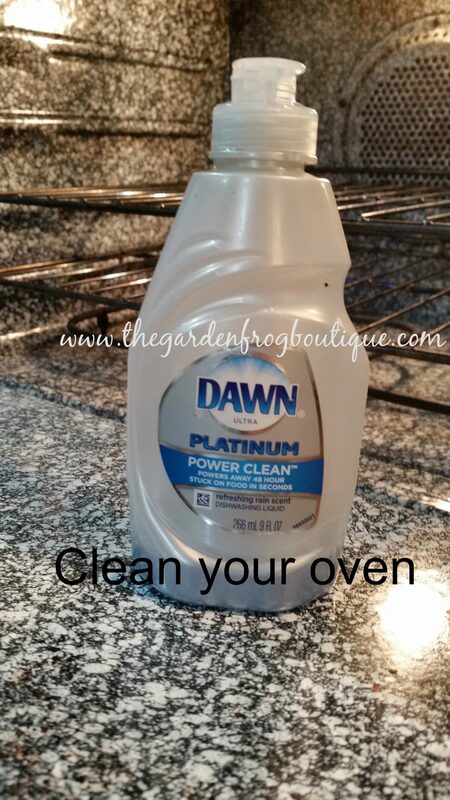 Platinum Dawn really does work on baked on foods on pots and pans. You put a couple squirts in the pan or bowl, add hot water and soak for an hour or so and it will loosen the baked on mess. Sometimes I have had to do this a couple times but so far in my many years of cooking and washing dishes I have found Dawn to be the best. 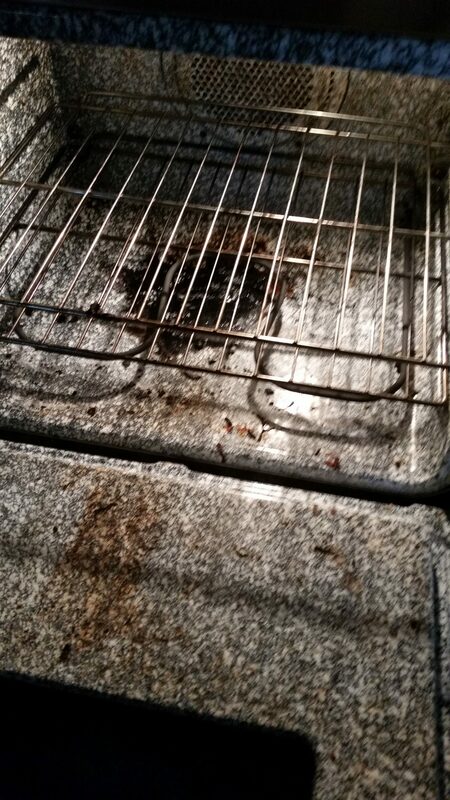 So with that in mind, I tried the Pinterest hack for cleaning the oven with vinegar and baking soda. What a mess and it did not work. I tried heating the vinegar up and soaking the oven then scrubbing with baking soda. I put baking soda down and poured vinegar to cause a reaction and nothing came loose. Embarrassed to admit but I left my ovens dirty for months because I did not want to spend the $6 on spray oven cleaner I knew would be smelly and full of chemicals. Plus I knew I wanted to disprove some of these Pinterest hacks I see and what better way than to start with my own oven in its full glory of yuckiness. Note: I did try the other cleaning hacks and they did not work. So last week another spill happened in the bottom oven and I knew I had to do something. 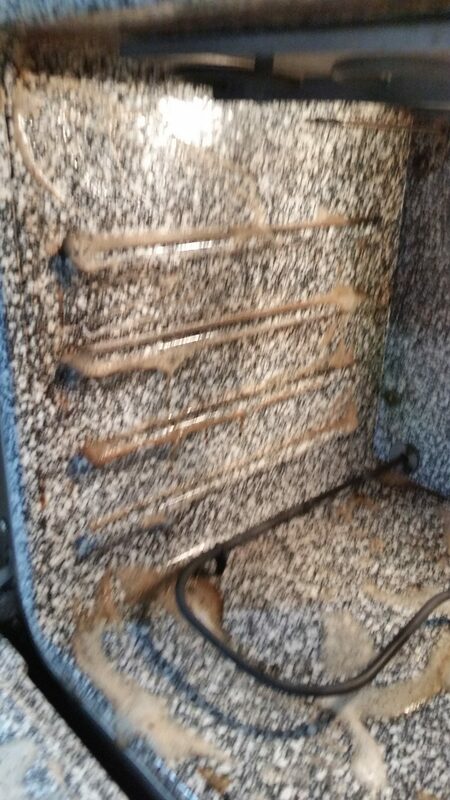 The bottom of the oven was blacker than the ace of spades and it was embarrassing to open the oven to see this (both ovens needed cleaned). I was in a mood so I walked over to the sink and grabbed the Dawn Platinum. I figured if it works for baked on burnt on messes in pans and dishes -why wouldn’t it work for the oven? So I grabbed a wet sponge and the Dawn and poured the Dawn on the baked on blackness and used the wet sponge to move the Dawn around so it bubbled a bit and covered the ovens. I let it sit for about 20 minutes and went over with the sponge and started scrubbing. Woohoo it was working but wait…I had to repeat the process 3 times over a couple hour period but I managed to clean my ovens with minimal effort and time while doing some other deep cleaning that morning. The Dawn Platinum removed 98% of the blackened burnt mess. I did not scrub hard. I have a few limitations so I can tell you that I did not expend a whole lot of effort. 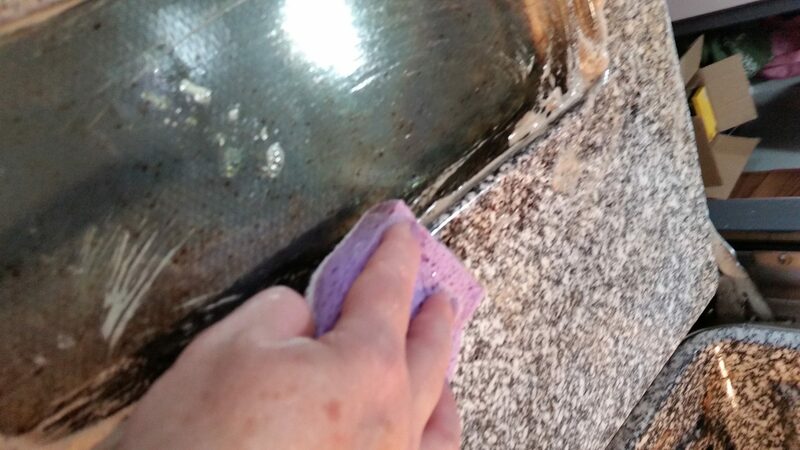 The process was just about scrubbing, reapplying, and wiping out again until the grime disappeared. The best thing was no smell and it cost less than $1. I hope I inspired you to tackle the oven. All you need is Dawn Platinum, wet sponge, wet rag, and determination. I am not a paid spokesperson for Dawn and the opinions are my own; however, I only use Dawn having both blue Dawn and Dawn Platinum next to my sink. What a great tip! I had no idea. 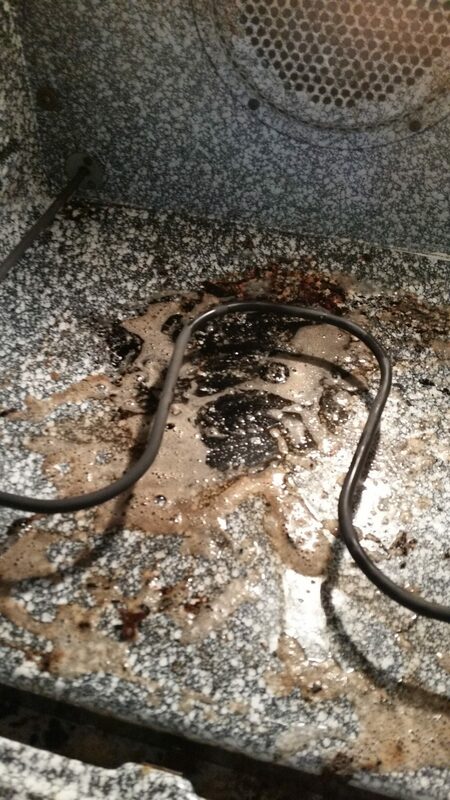 And I really really miss my self cleaning oven…. I haven’t tried the Dawn Platinum will have to give it a try, but I have used the blue dawn forever. I find it works best in cutting the grease. Thanks for sharing your clean up tips. I have a small bottle of Dawn Platinum for the burnt on messes and regular blue Dawn for dishes.